With the cold weather comes what seems to be the constant need to apply lotion to attempt to keep your skin from appearing dry. Some people will even have cracking around the nail beds and other places on their hands. During this season of colds/flu the advice is to wash, wash, wash so efforts for hydration of the hands is ten fold. After going to the Health & Fitness Fair last weekend and seeing a demonstration of an aloe based lotion that "claimed" to be fail proof for hydrating the hands, but with the cost of 1 8oz jar being $60, I decided it was time to do my homework. What I found, according to dermatologist Lisa Benest was the traditional products we use for hydration can actually over time have an opposite effect. They are designed to add moisture but it's only temporary. Continued use sends a message to the skin cells that it no longer needs the skins' natural moisturizing so it ends up with the skin being less hydrated. What is much better for hydration is a shielding lotion, which along with it's skin healing ingredients, actually forms a natural sealant, barrier on the which holds in the skins natural moisture. Skin MD is one of the highly recommended shielding lotions which not only can be used on the hands but on the entire body. 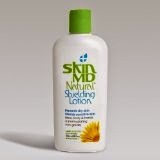 You can read more on what leading dermatologist say about shielding lotions or try it out for yourself.